For the fourth consecutive year, the University of North Texas has earned an “A+” rating as well as Dean’s List status from peta2. 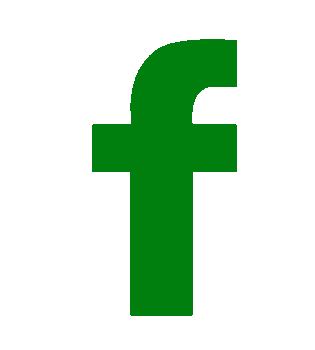 The animal advocacy group recently released its 2017 Vegan Report Card and thanks to the success of Mean Greens Café, UNT continues to be recognized as one of the nation’s leaders in vegan dining. UNT is one of only three institutions in Texas to earn an “A+” rating. Just 68 schools out of 1,512 nationwide received the Dean’s List honor. According to the peta2 website, UNT goes “above and beyond to provide all students with exceptional vegan food” and is “making exceptional strides in vegan dining on campus.” The website also states that surveys by food-service providers have shown that the number of vegetarian college students has risen by more than 50 percent nationwide over the past decade. 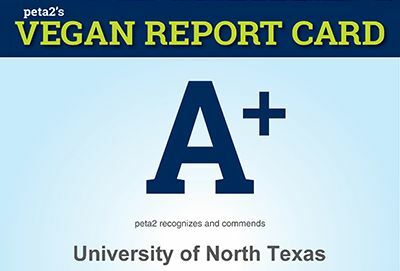 UNT initially earned an “A” grade in peta2’s first Vegan Report Card in 2013. Since then, the college has earned Dean’s List recognition and an “A+” rating over the last four years (2014-17). Since opening its doors in the fall of 2011 at UNT’s Maple Hall, Mean Greens’ popularity has continued to grow, not only on campus, but also in the Denton community. The location celebrated its fifth anniversary last year and is always looking to improve the vegan dining experience for its customers. Last year, a hydroponic garden called a Freight Farm was built into a specially-designed refurbished freight trailer and was installed behind the cafeteria. This allows for lettuce and other produce to be grown in Mean Greens’ own backyard. The Freight Farm has produced enough lettuce to completely support Mean Greens while excess is being sent to other dining halls on campus. And newly added to the beverage center this fall were almond milk and infused water stations. Mean Greens Café Chef/General Manager Matthew Ward says constructing a conveyor belt to the dish drop-off area is in the planning stages because Mean Greens has become so popular and busy. The 2017 Vegan Report Card can be viewed online at www.peta2.com/feature/vegan-college-ranking/. UNT Dining is the largest self-supported food service department in North Texas. With our 21 retail food shops, five cafeterias, a full-service restaurant, and a catering department, we serve nearly five million meals annually. Our food service program is award-winning and has been recognized nationally by organizations like Food Service Director Magazine, Physician’s Council for Responsible Medicine, and PETA. We are also the recipient of the prestigious Loyal E. Horton Award from the National Association of College and University Food Services. In 2011, Mean Greens Café opened as the first all-vegan university dining hall in the country. For more information, visit http://www.dining.unt.edu/.